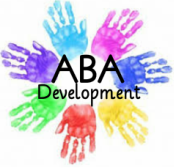 The unique ABA Development social skills program helps children be a part of the social world and master the skills they need to function in it more fully. Our comprehensive curriculum follows the texts of Dr. Jed E. Baker, Kathleen Quill, and Susan A. Sheridan to name a few, while using the principles of ABA. We adapted the curriculum to help your child gain communication and other skills needed to navigate a full range of social situations and become more socially aware. Private sessions will allow your child to work on specific behavior, social and academic concerns while working one-on-one with a staff member. Sessions will also support the goals presented in your child's IEP. For more information about fees and session availability, please submit a contact form below.